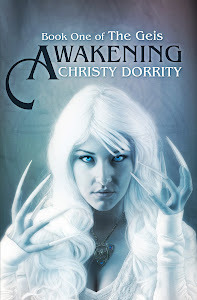 Christy Dorrity Author: Friday-Blog Hop Time! Jennifer at Crazy For Books has a great thing going on. Check out Her Book Blogger Hop is a great way to network with other book bloggers. Sign up on her McLinky list and don't forget to check out at least a few of the blogs that are listed there. Please let me know if you found me through the Blog Hop! I love the recipe idea! So great! mmm...now I want some 7 layer dip. lol. Hi! I found you through the Book Blogger Hop and am now a new follower. I have just found your blog through this meme and am happy to be a new follower! Hi. Stopping by via the Hop. Great blog. I'm now a follower. Followed from the blog Hop. Love your button! Awesome! Thank you all my new followers!